I have two brand new kourses about to start at sketchbookskool.com. See you in klass! Any class you are teaching on Art journaling/drawing, I’m in. I’d love to take a class from you. I’m in Orange County but willing to travel. Just finished a week in Bellagio with Jane LaFazio. Lots of room for improvement. Seriously Danny – please do a class in LA. You’re here! We’re here! Let’s draw together! An online class would be real fun way to get out of the not-drawing rut. I would travel to LA from Colorado for a workshop, too, because my daughter lives there and I go see her anyway. hope this is the year that you offer an online class. you would be making a lot of lives richer with the inspiration that you provide. On-line please! I’m in Devon, England and have given your books to all my arty friends over past 4 or 5 years, so am sure they’d be up for it too! Stay tuned, Karen. My online classes are getting close. Tell your chums! April 4. Please visit sketchbookskool.com for more info. Just recently discovered you by poking thru books in Amazon. I got three of yours! I’m an artist…the painterly, abstract, non-representational type. Check my work out: http://www.marie-martin.com. Recently have had to face reality that my biggest reason for heading into non-representational work is fear of drawing. I’ve got a few pieces that indicate drawing potential is there within, I just need to bring it out, stop fearing, and go for it! Turning 66 has a way of pulling back the curtains, doesn’t it? I live in OrNge County California, and agree whole heartedly with others above that Id love it if you’d have classes in SOCAL. I will drive to LA for this! Please do this! Thank you! Another voice hoping for an online class :). I keep hoping … And wondering why you haven’t yet? I was just there! I helped Jane film her klass. Hey, how about coming to beautiful “let’s keep Santa Cruz weird” to teach a workshop? I know everyone in my Illustrated Journaling group would love to take a class from you…not to mention all strange and wonderful artists who inhabit this area. It’s not really too far from LA, in distance, but a gazillion miles away in terms of life style. We would love to have you! if you can make it happen, I can fuel up the truck…. I missed the April offering of Sketchbook Skool class (honestly, I just heard about your class today…where have I been??). Anyhow, will you also be teaching in the June offering?? If so, I’m there. Yes, I’ll be teaching every term. Oops, correct that…your July 4th class offering. 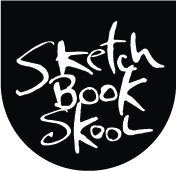 I am living in Germany and would love to take part in your Sketchbook Skool in June. I never tried this before and hope I can get along with the Internet. My Problem is how do I manage to pay? I dont have a Visa Card . I pay everything I buy in the Internet by Paypal . I also could transfer the money by bankaccount. I hope there will be a solution, I have some of your books and I love them. Hi Danny! I’ve just got to know about the 2 classes on Sketchbook Skool, a bit too late, unfortunately, as this is the last week right? Sooo.. here I am asking ( and deeply hoping for a positive answer..): Are you going to offer the same classes again ( with the same teachers? ). If yes, do you have already an idea when? When is your next round of classes and are they the same teachers as last time if they are the same, will they teach something different ? Please visit Sketchbookskool.com for all sorts of info. We will announce the next semester in a few weeks. The first semester was AWESOME!! For me it was like that moment in the Wizard of Oz movie when it switches from black and white to color. Literally. Looking forward to ‘Seeing’. To scary for me. Your book frightened me and so does this. You told me I had to draw the holes in the bread just right. That put me off totally. Well Jane, why don’t you find something else to draw that doesn’t frighten you, start there, and work up to this stuff. Really, it’s not about drawing ‘just right’ it’s about learning how to slow down, how to look really slowly and carefully, how to try to only put down what you see and not let your brain make it up. Do you really think everyone managed to draw the holes in the bread just right? Of course not. Everyone made mistakes, missed some out, drew others too big or in the wrong place, got bored, did some filling in, came back into focus and tried to see clearly again from another landmark point. At some point, we all looked at our work and wanted to tear it up, but at some other point, we were all pleasantly surprised at how toasty our toast looked, even if it was a massive fail in terms of drawing the holes exactly right. No one can do that, it’s the trying and failing that gets you an interesting drawing. I hope you keep trying.